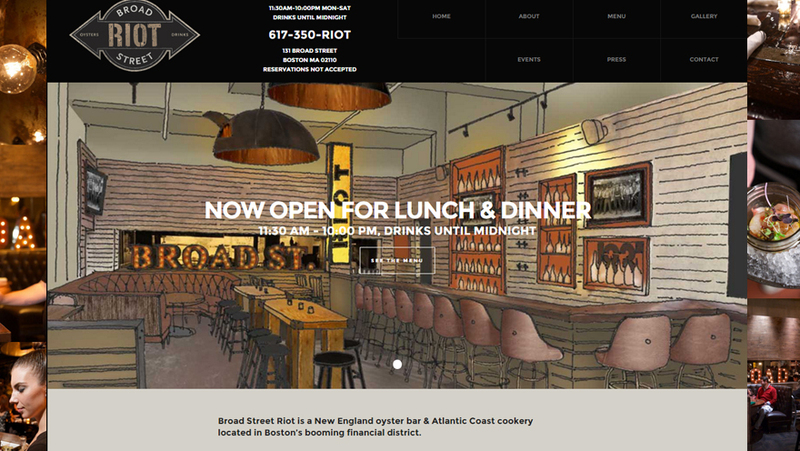 Project: Website & Digital Content Strategy for Broadstreetriot.com Role: Developer, Strategist Broad Street Riot is a New England oyster bar & Atlantic Coast cookery located in Boston’s booming financial district. 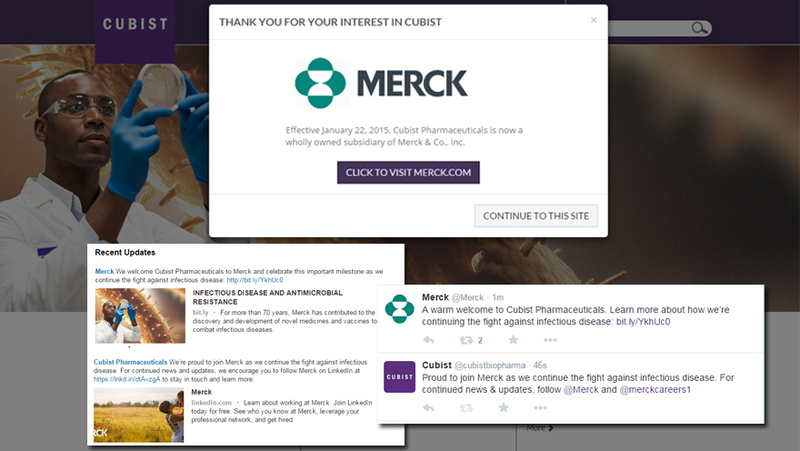 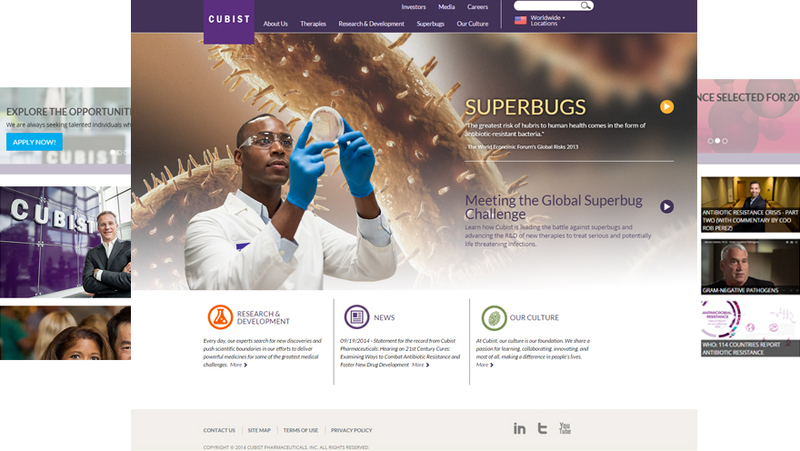 They needed a quick website turnaround and best practices on how to integrate and use social media to attract customers and drive business. 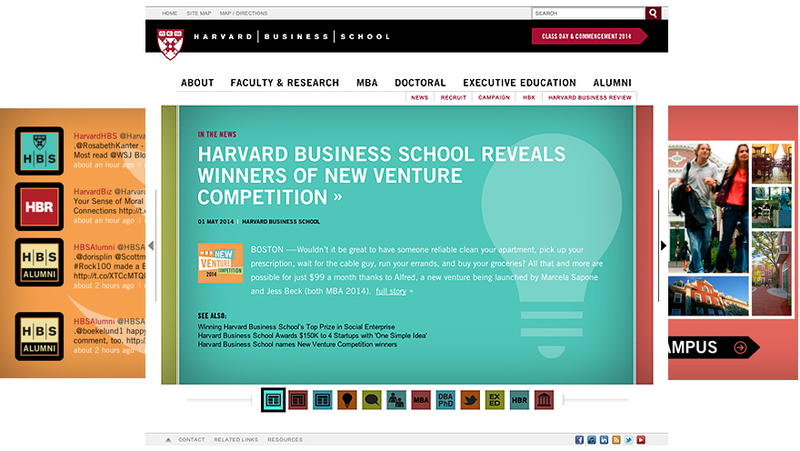 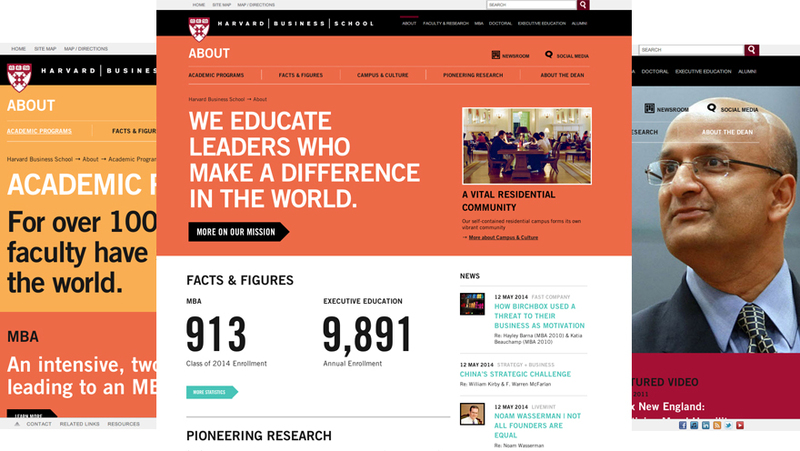 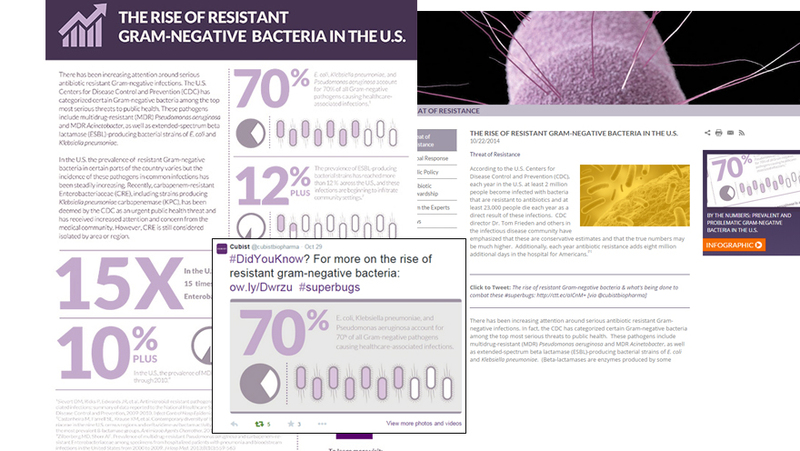 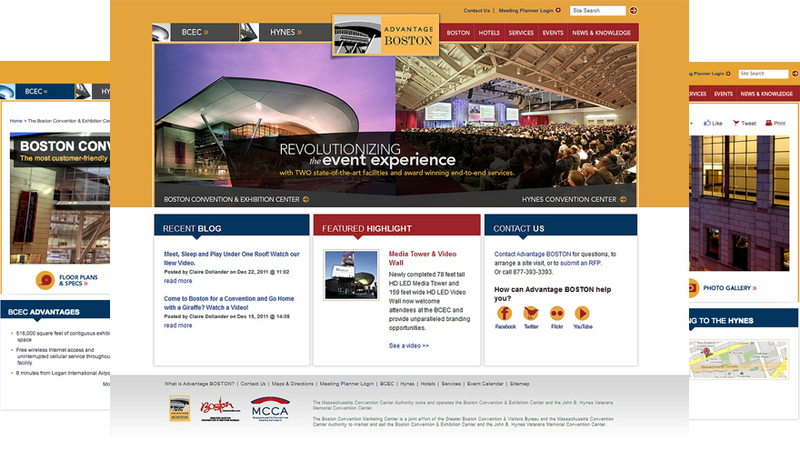 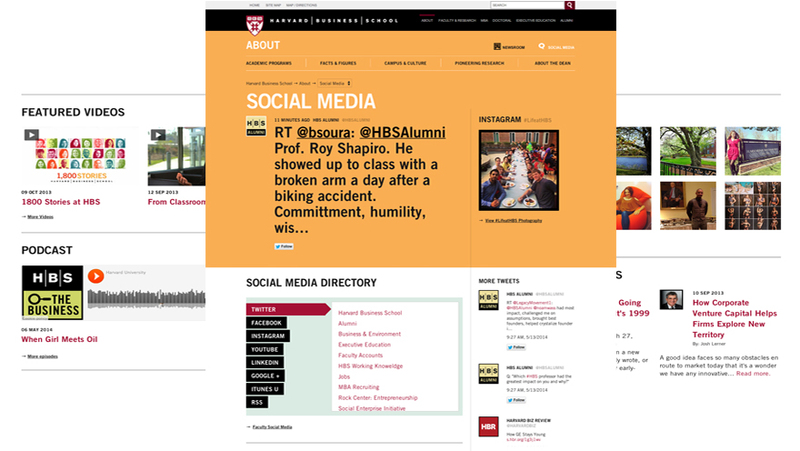 Project: Harvard Business School Homepage Redesign 2014 Role: UX, Project Management, UAT In early 2014, HBS embarked on a redesign of the homepage. 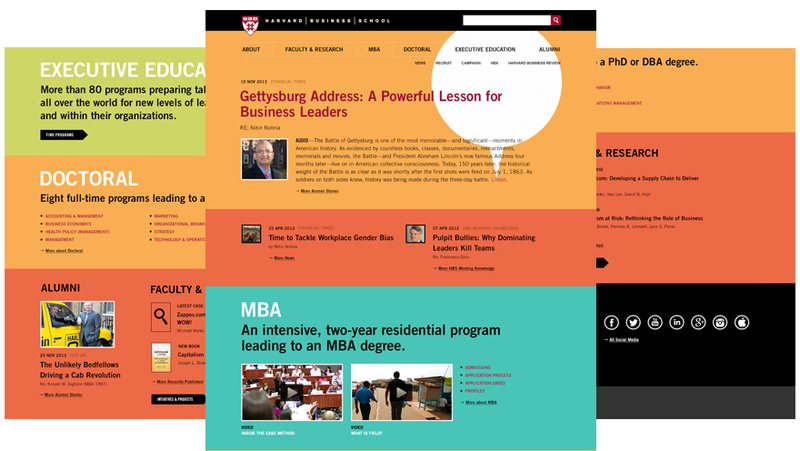 The goal was to approach ongoing website designs as “mobile first” and as such launch a new header, footer, and overall responsive page.